Having trouble trying to decide which of the many different variations of Kratom products you should order for your first experience? Naming kratom strains is based upon an easy to understand set of criteria. The multitude of product variations may at first seem confusing, but once you understand the basic glossary of terms, you’ll be able to tell quite a bit about each product from a few simple words. Looking for a super strong and stimulating powder? Prefer a stress-busting capsule you can add to food? Read on to get the lingo which will help you identify the names of kratom strains and choose the exact right product every time. One of the most important factors for naming kratom strains is the geographical region in which it is grown. All kratom is native to Southeast Asia, but within that designation, there are more specific regions famous for growing this ancient tree. These include the nations of Thailand, Vietnam, and Indonesia. Within Indonesia, kratom is indigenous to the islands of Sumatra and Borneo. So, may kratom powders will indicate this place name right on the packaging. For example, Borneo Kratom comes from the island of Borneo. Simple enough, right? It can get a bit complicated because Bali Kratom also tends to come from Borneo and some strains labelled “Premium Indo” might not make it clear which island of Indonesia the leaves are grown on. But these distinctions tend to be minor on the grand scale of things. Why is geography important? Different micro-climates in each region have encouraged the kratom to evolve over countless thousands of years to have specific chemical and molecular structural traits. Namely, each geographic type has a different concentration and variety of alkaloids embedded within its leaves. These natural plant compounds are the substances that interact with your body’s cell receptors to create kratom’s famous effects. So, kratom from Bali will have slightly different alkaloids than the same plant from Vietnam, leading to different effects in the body. White: Indicates a more stimulating, high energy effect. Red: Red leaves tend to produce a more sedating, relaxing sensation. 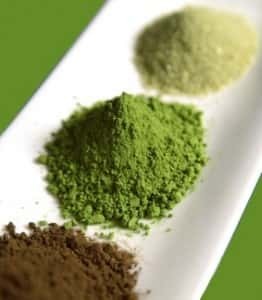 Green: Green kratom is known to deliver a comprehensive physical and mental experience that incorporates elements from both of the other colors. For example, a product listed as Green Malay indicates kratom made from green leaves from Malaysia, and will have an effect that is both naturally energizing, mentally uplifting and relaxing. Powder – The most common form, Kratom powder is made by grinding crushed, dried, raw leaves. The result is a fine dust-like powder that can be easily added to food or drink. 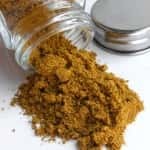 Extract powder – This highly concentrated form of kratom powder is created by boiling leaves down into a hard resin, then crushing that resin into powder. It is often 8-15 times as concentrated as conventional powder, and will typically be marked as such. Blend – This type of kratom is a mix or fusion of multiple different strains. Kratom is often blended across strain to produce a more sophisticated and specialized effect. 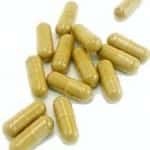 Capsules – For convenience, some kratom powder is packaged in easy to swallow capsules. This is one way users avoid kratom’s sometime bitter taste. 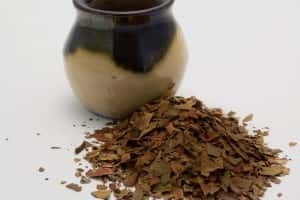 Resin – This hard, dense form of kratom is made by boiling down the dried leaves until their alkaloids are extracted and left in a purified paste to solidify. It is highly concentrated. Tincture – Kratom can be prepared as a liquid by dissolving it in alcohol. Extract tinctures are ingested with a dropper placed under the tongue, and are generally very potent. The final bit of terminology you might see in the names of kratom products is a rating of production quality. These terms give you a picture of how the kratom was prepared for use, which can indicate strength. Premium – This method for preparing kratom sifts out the stems of leaves, which have less density of alkaloids. The resulting powder is considered more alkaloid rich. Super – Kratom marked Super is made primarily from only the largest uppermost leaves of a tree. This is done to boost the available surface area of alkaloid-rich leaves. 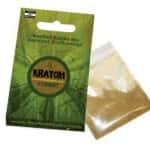 Enhanced – Kratom powder that has a highly potent extract powder added into the mix, usually at least 25 percent. When it comes to naming kratom strains, most manufacturers use these common terms to give the consumer a good idea of the type, strength, quality, and form of the product. 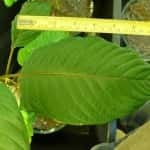 Though you may find inconsistencies across products from different countries, for the most part these names will be extremely helpful in determining if a kratom product is right for you.